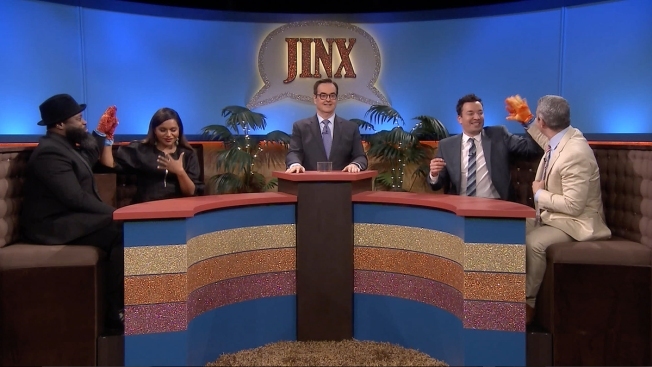 So you think you have fun playing a game of Jinx at a party with your friends?See what happens when Jimmy Fallon partners with Andy Cohen against Mindy Kaling and lead MC of The Roots Tarik Trotter in a hilarious competition where each duo are given random categories and earn points by matching as many of their partner's answers as possible. One thing is clear... Kaling is not up on her current street lingo for marijuana. Who won the showdown? Check out the video above.